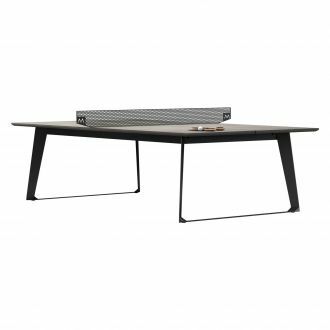 Up to 6 items usually ship via FedEx Ground. 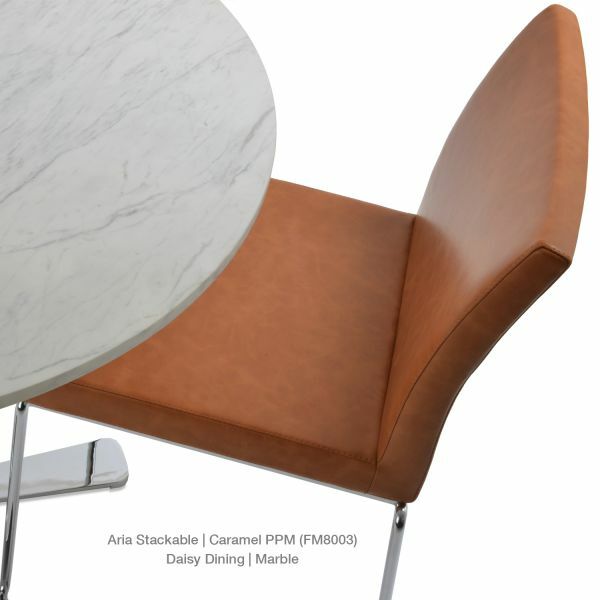 PPM Leatherette: 5-year (Upholstery only). 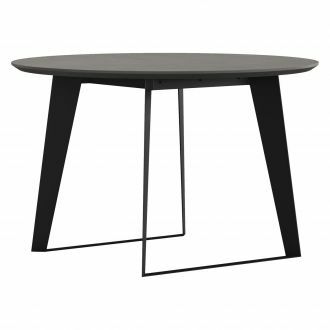 Beautiful minimalist and clean design. 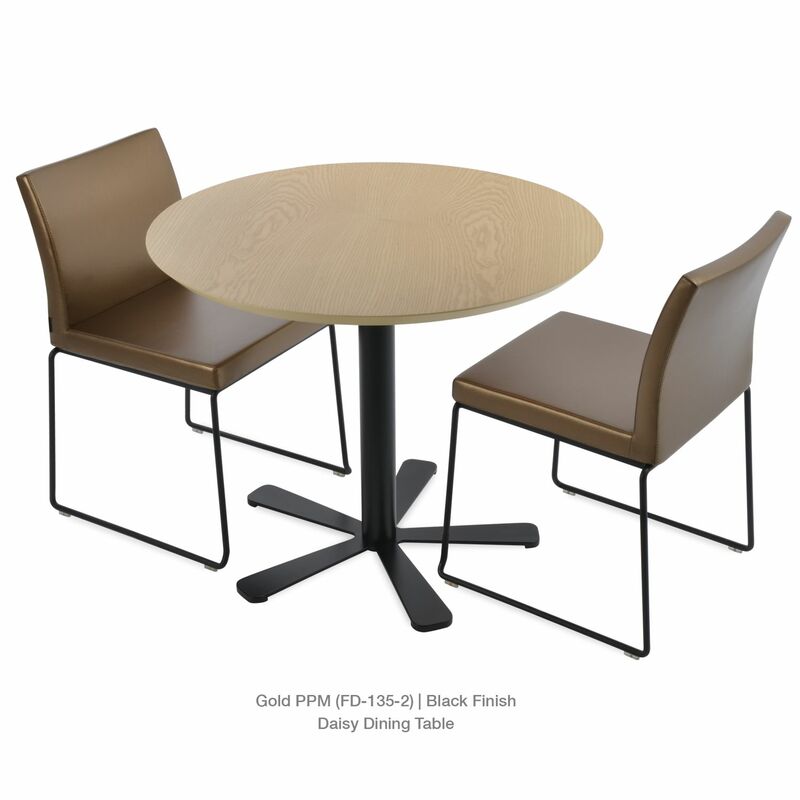 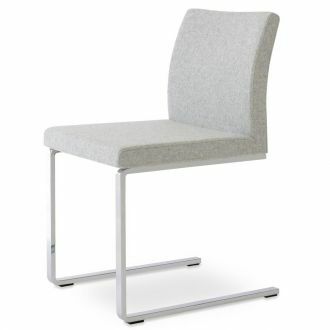 Ideal as dining or conference room chair. Space saver stackable solid chromed stainless steel base. 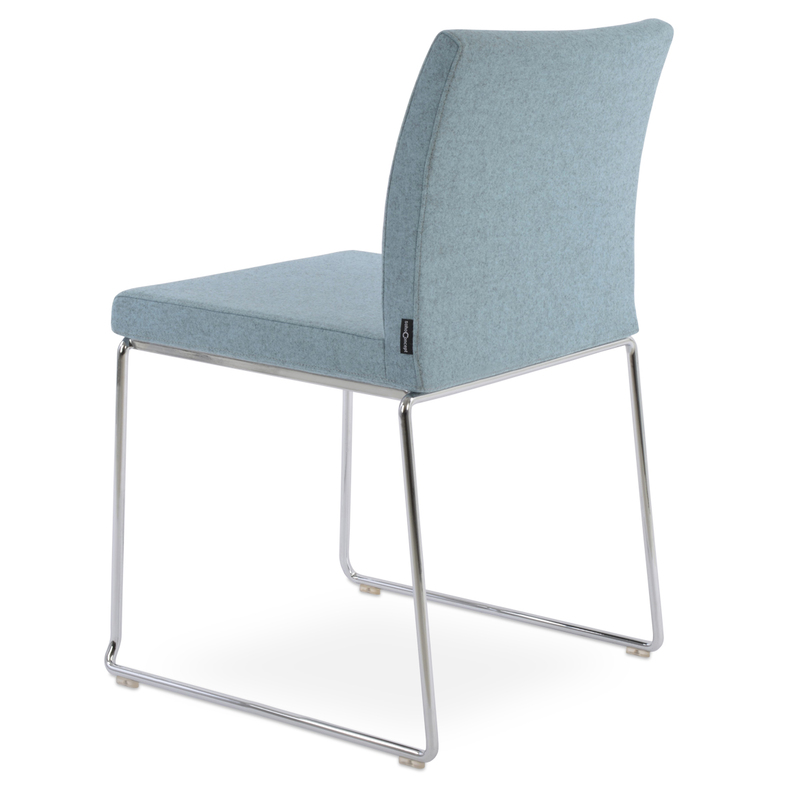 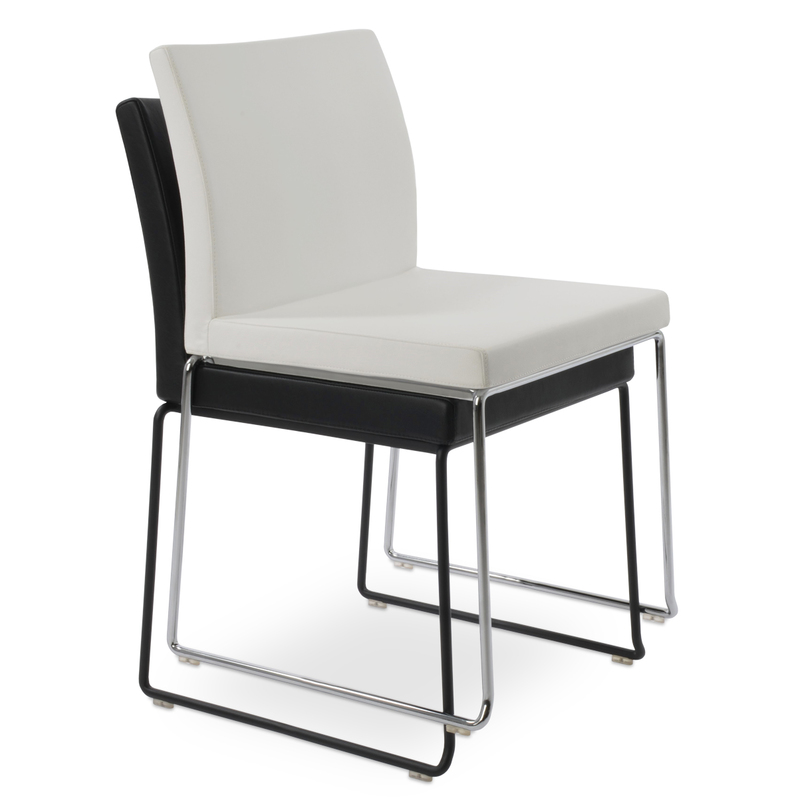 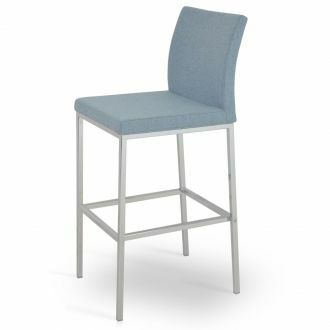 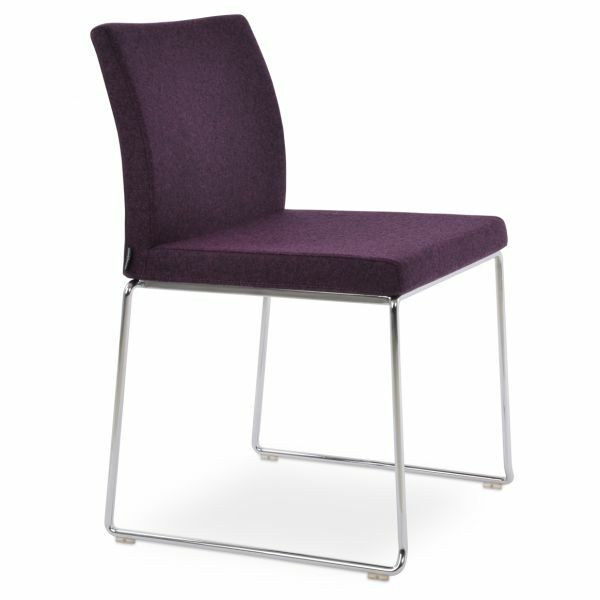 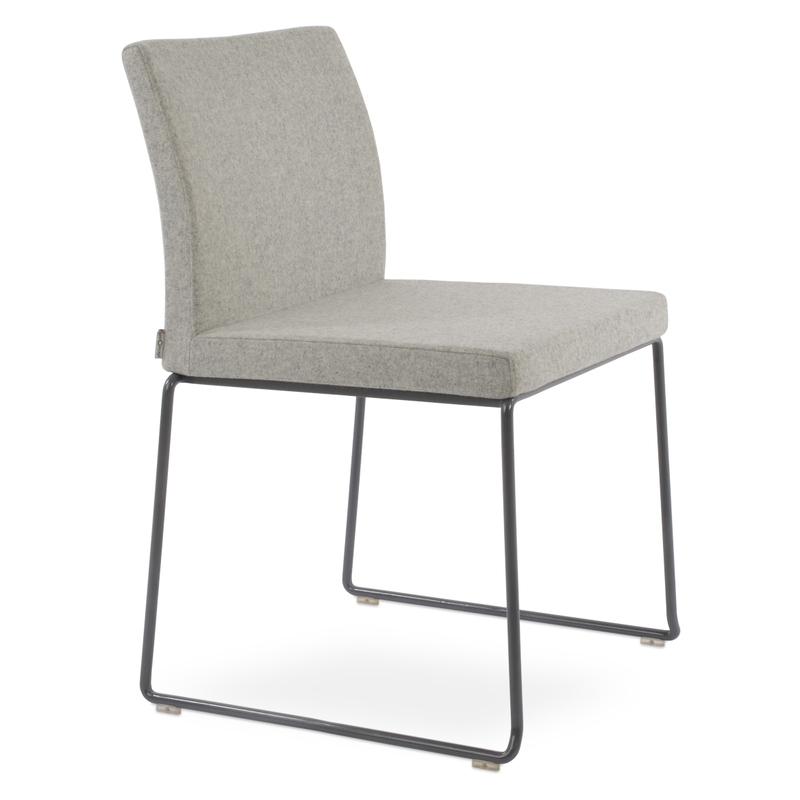 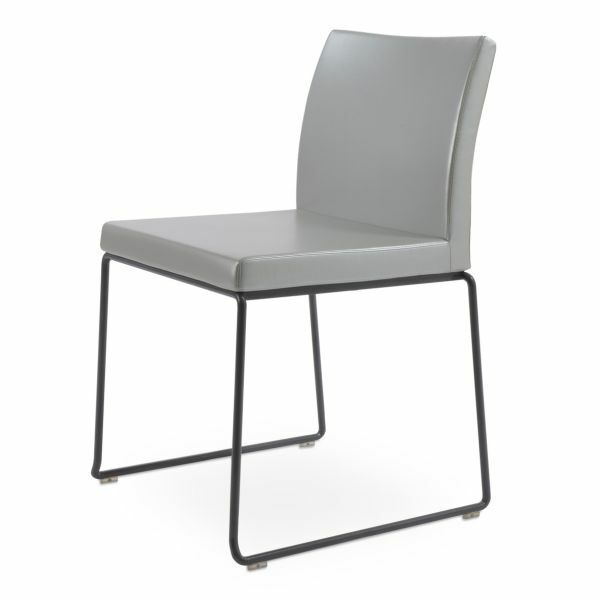 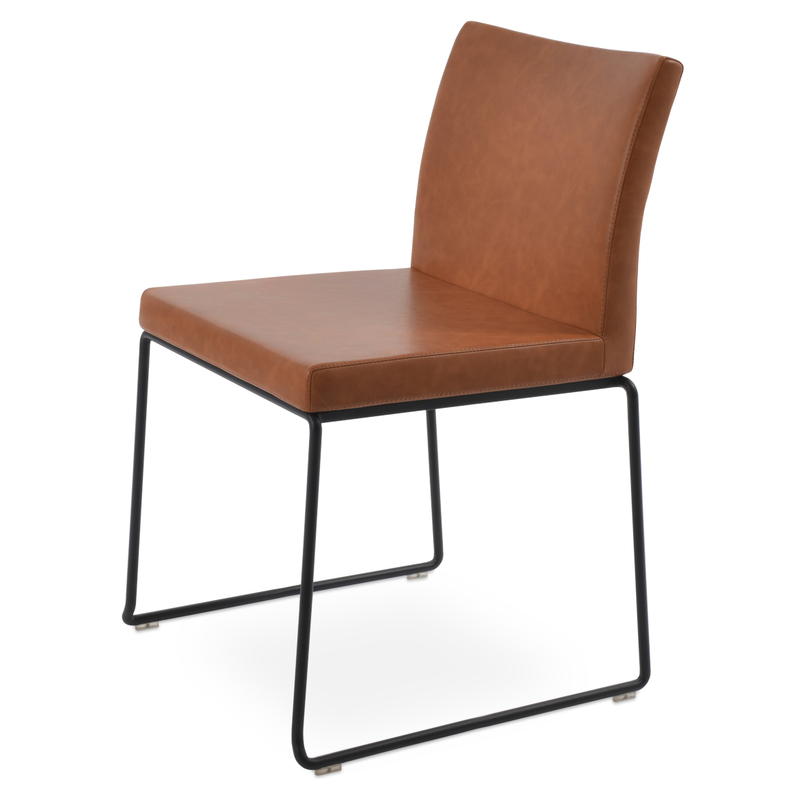 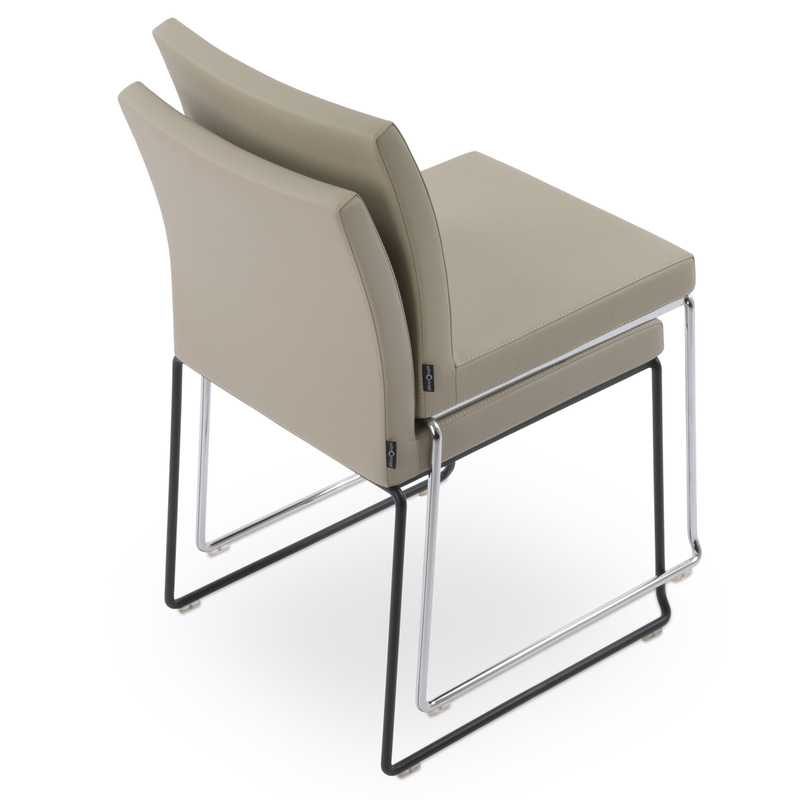 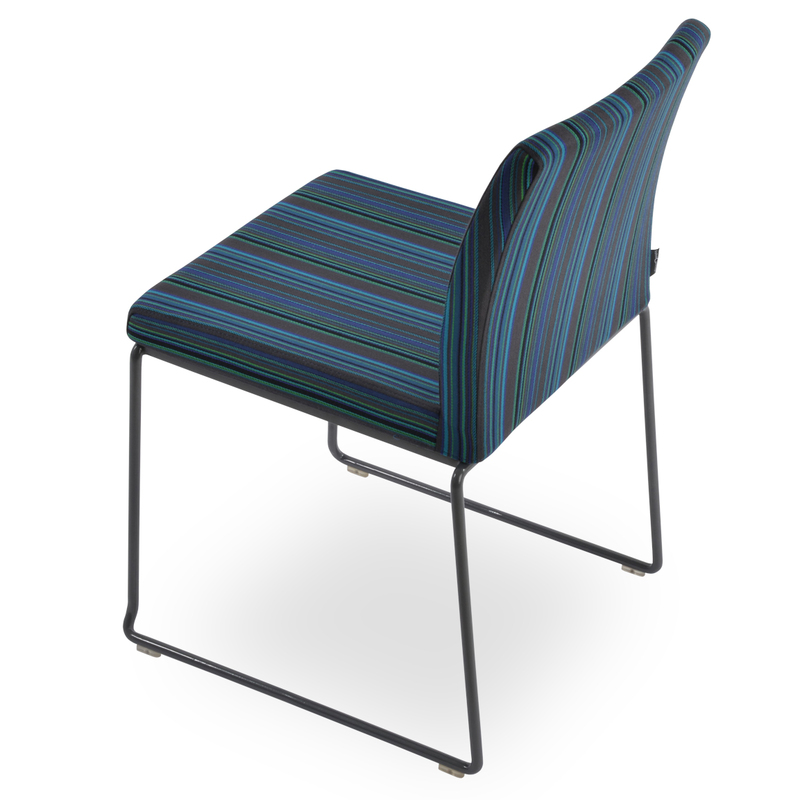 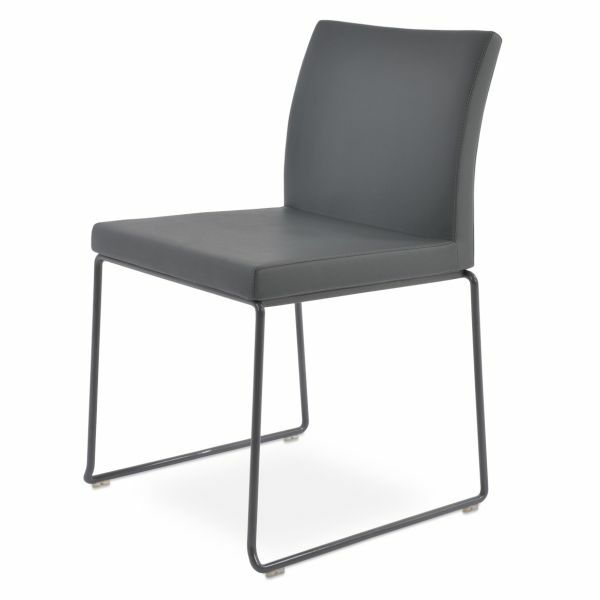 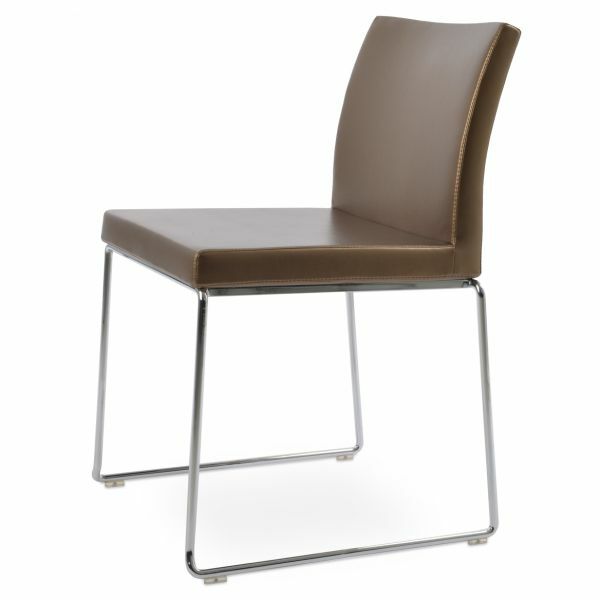 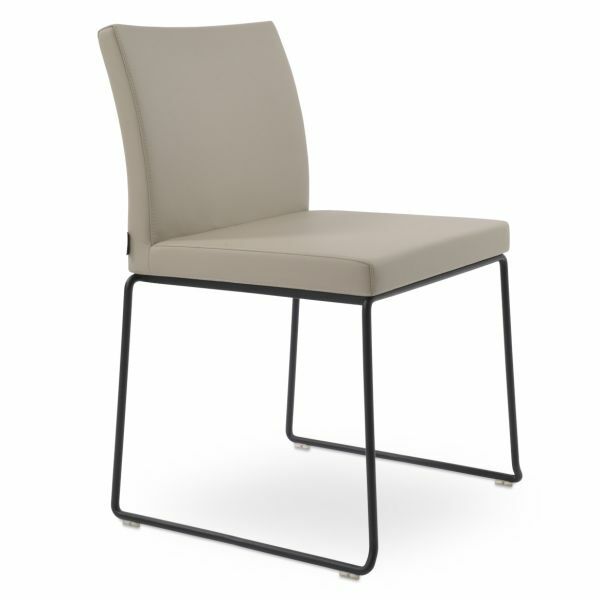 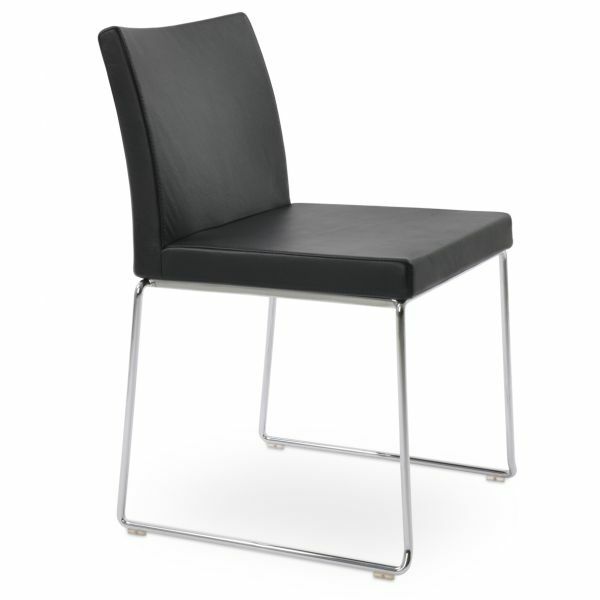 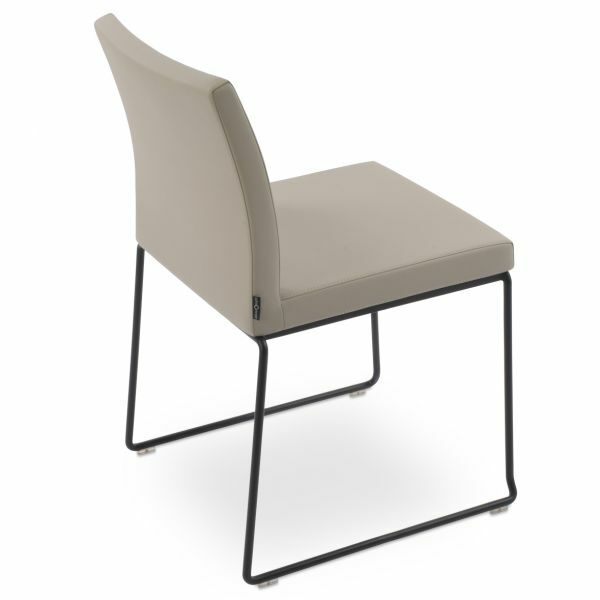 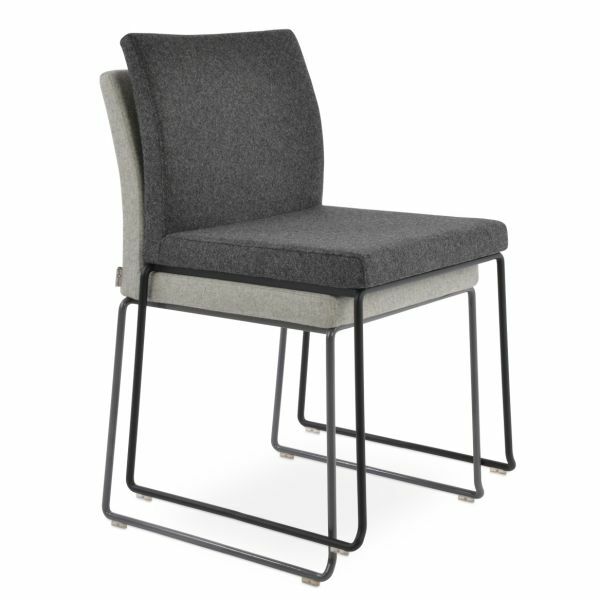 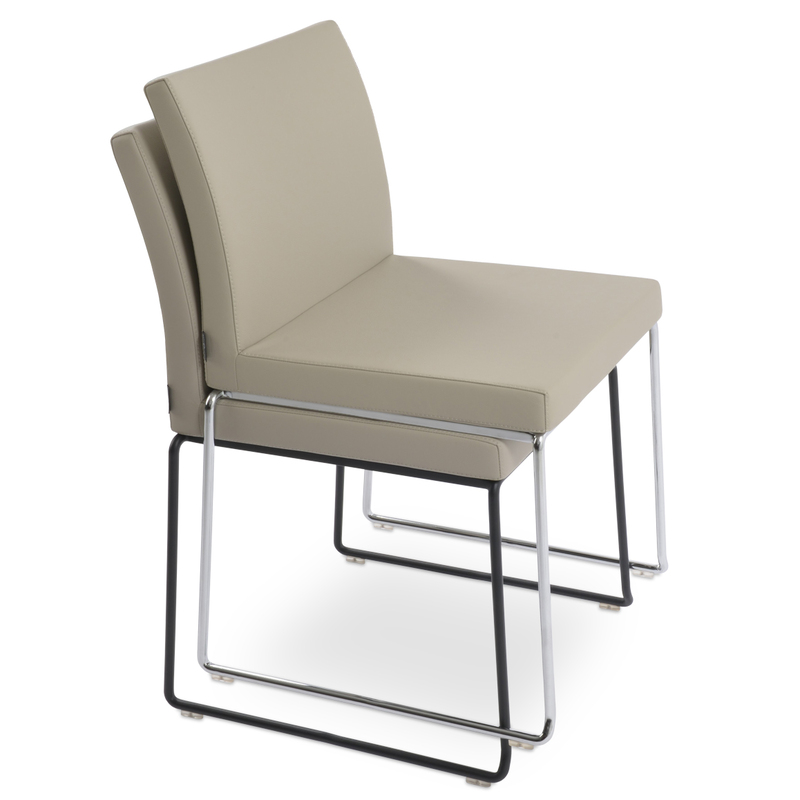 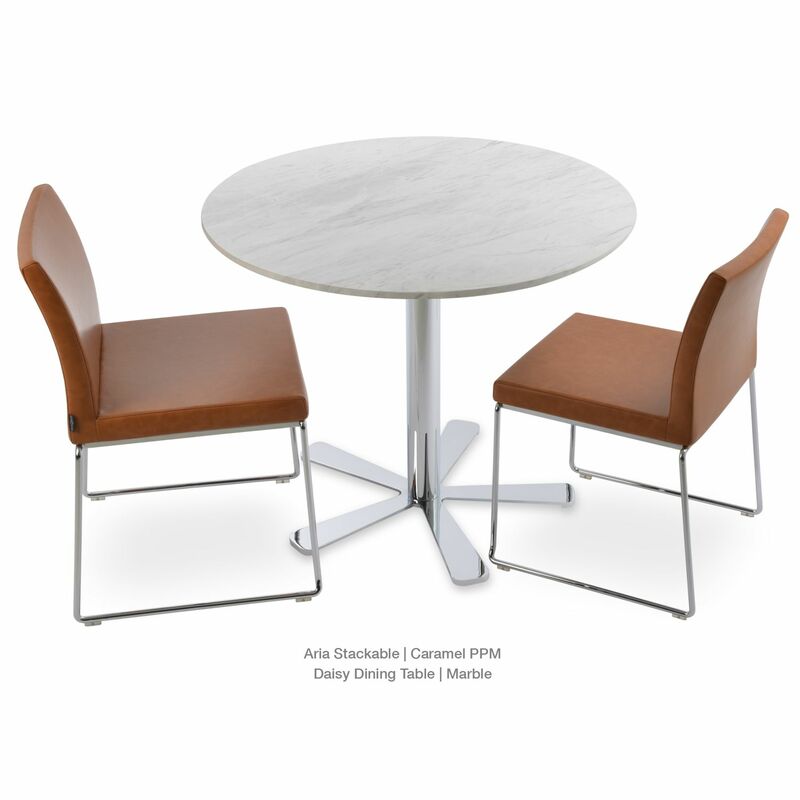 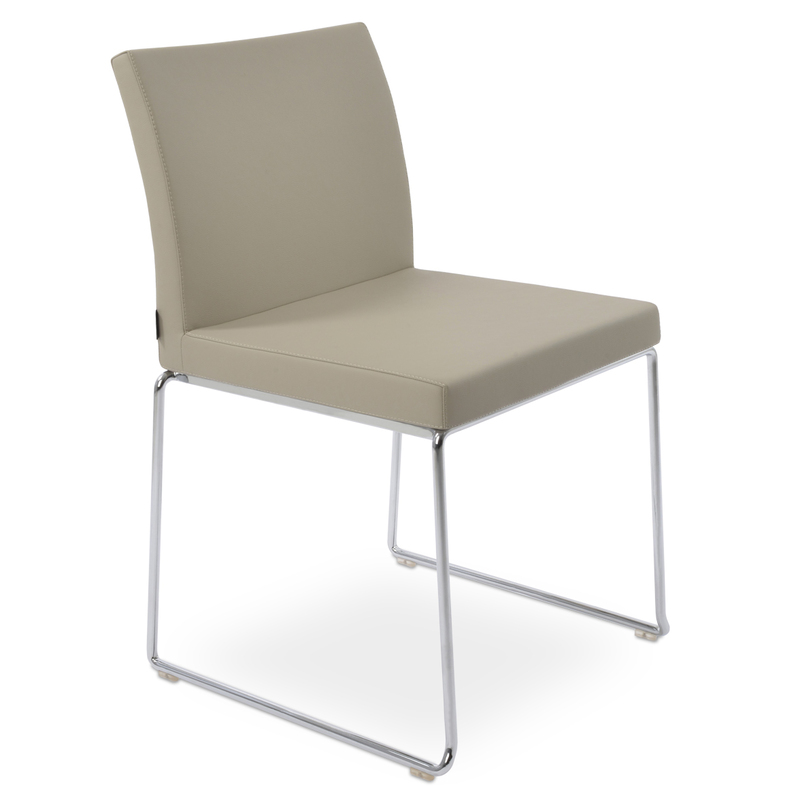 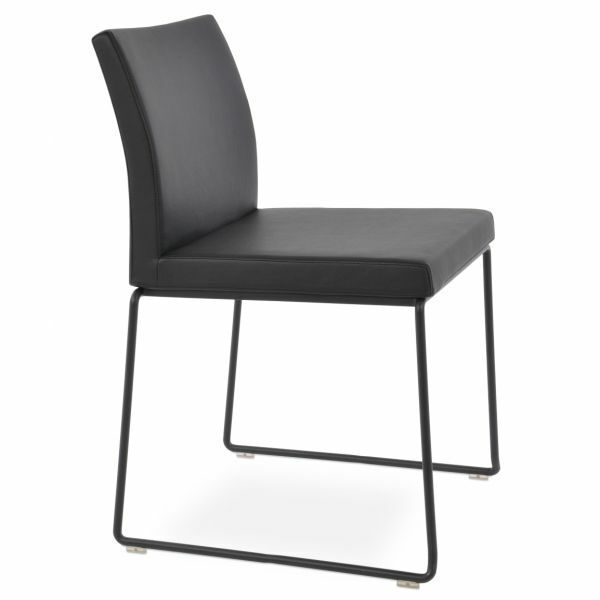 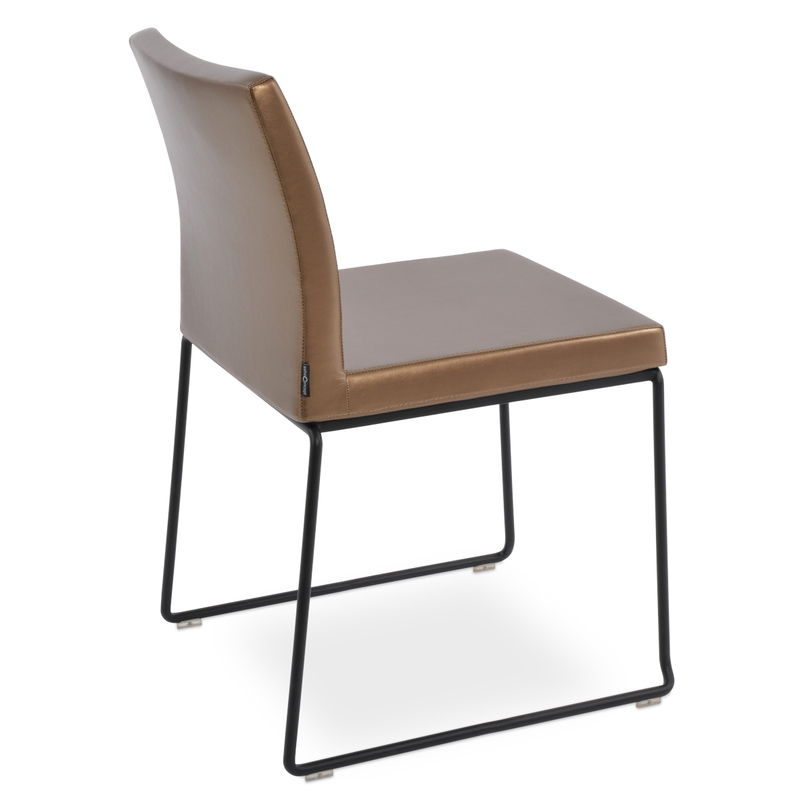 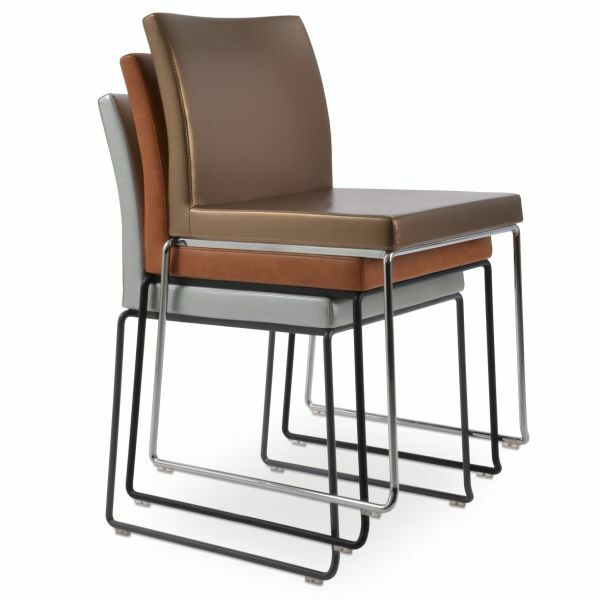 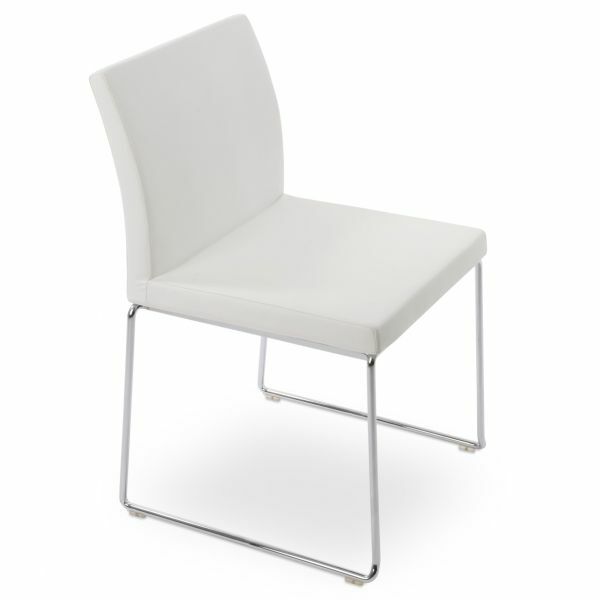 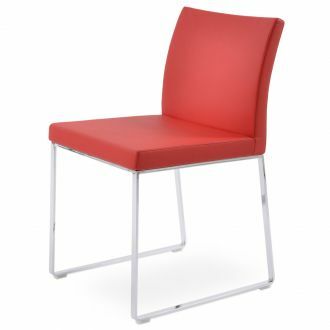 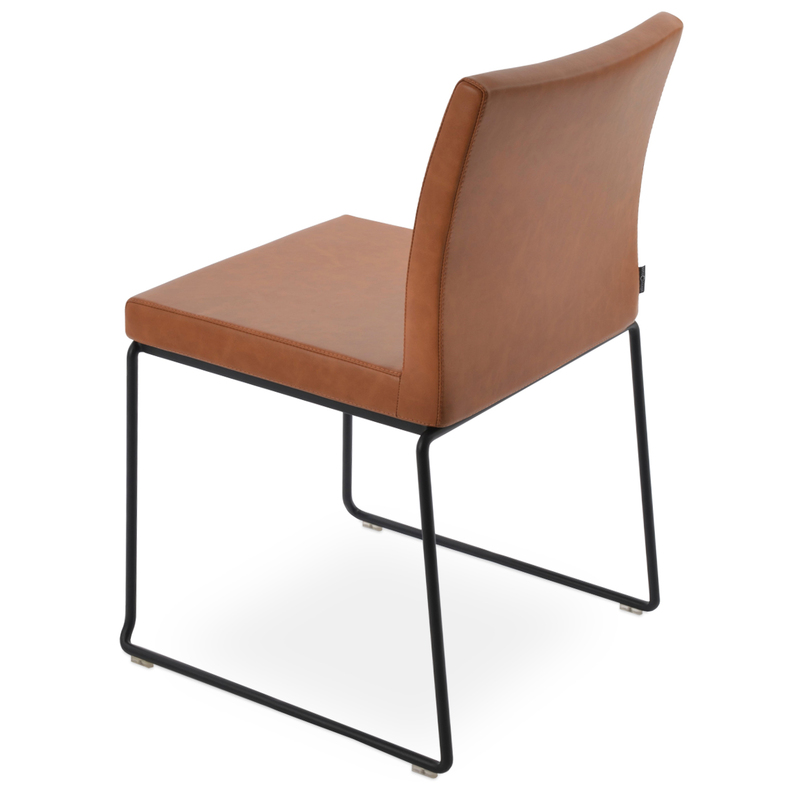 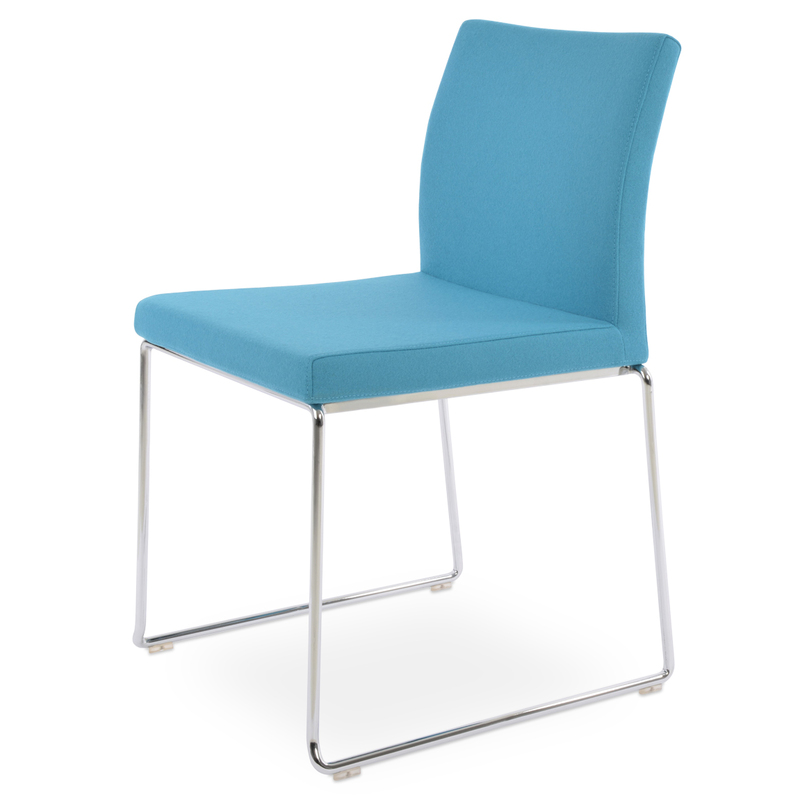 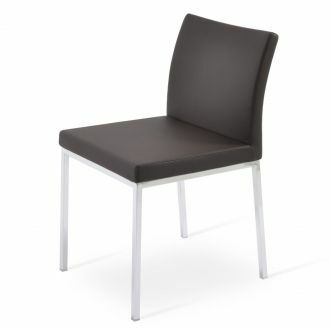 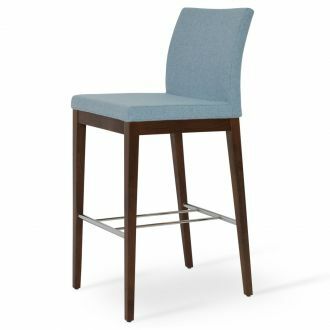 is a contemporary dining chair with a comfortable upholstered seat and backrest on solid stainless steel stackable base. 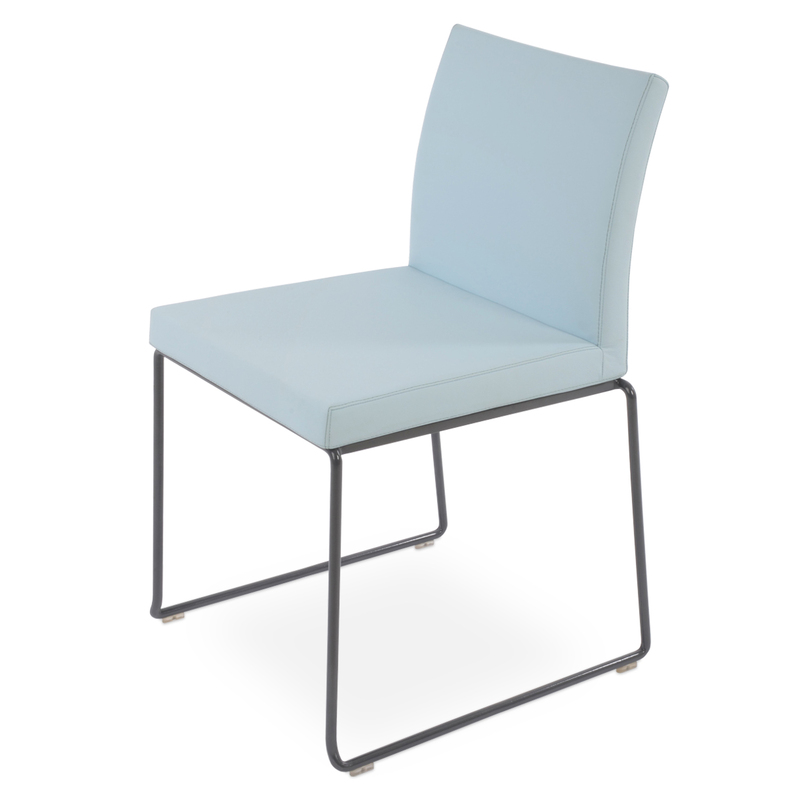 The seat has a steel structure with “S” shape springs for extra flexibility and strength. 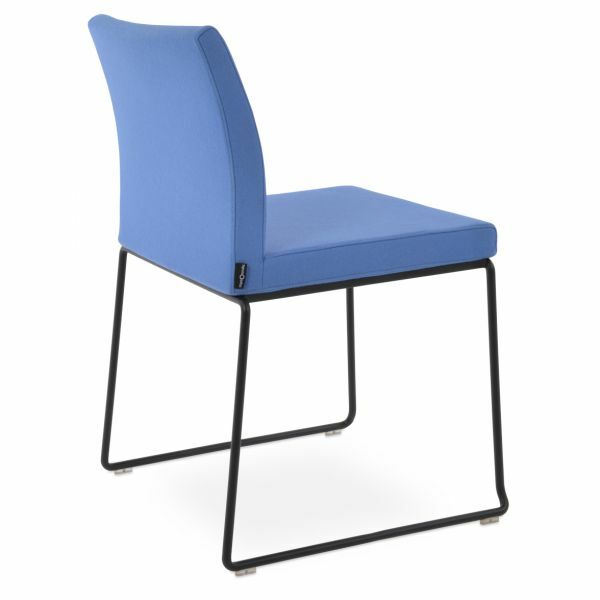 This steel frame is moulded by injecting polyurethane foam. 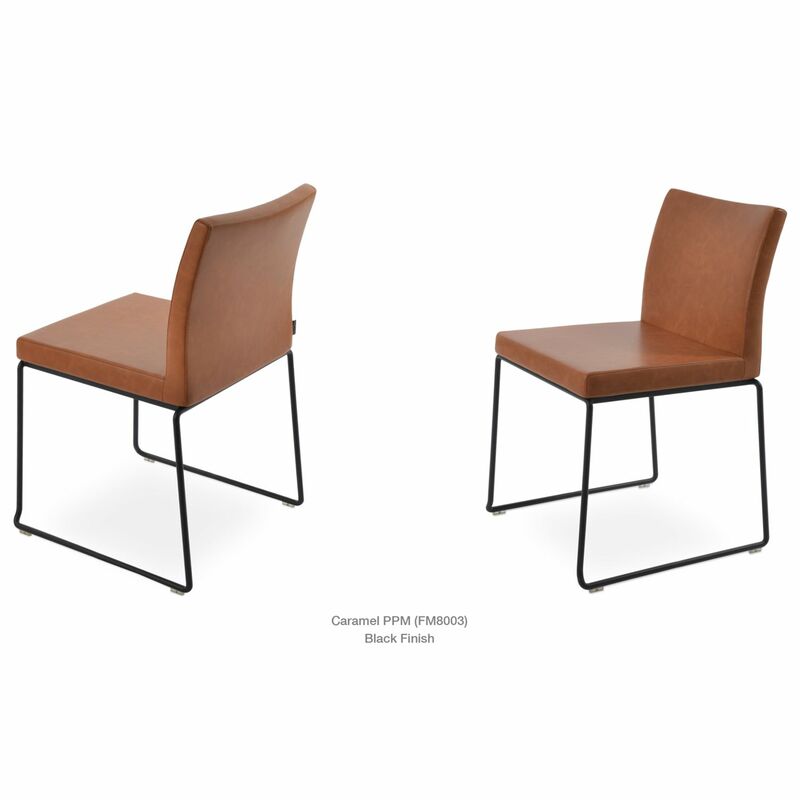 Aria Slide seat is upholstered with a removable velcro enclosed fabric, leatherette, PPM, leather or wool fabric slip cover. 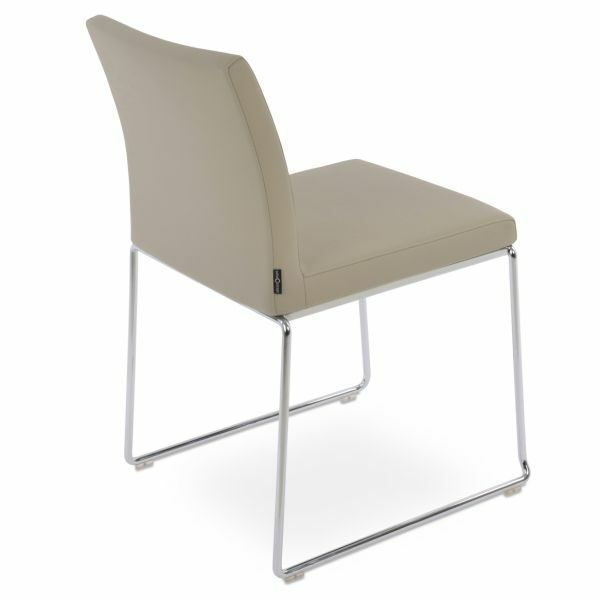 Other colors are available as a special order with a minimum quantity required. The chair is suitable for both residential and commercial use. Aria Sled's sturdiness sled base that moves very smoothly on carpets has the chair especially preferred for lounge, restaurants, and other public areas. 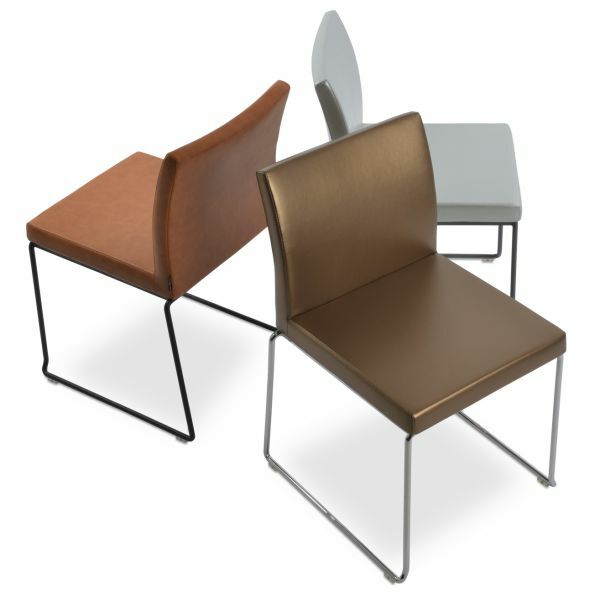 Special order colors require minimum qty of 4. 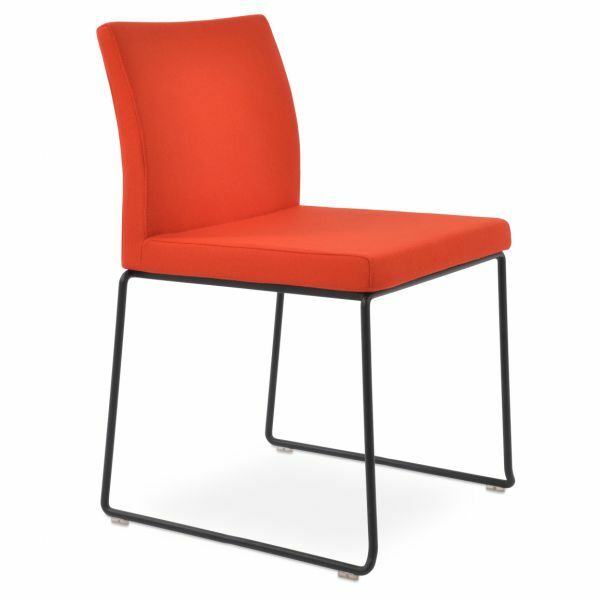 WARNING: This product can expose you to chemicals including which are known to the State of California to cause cancer or birth defects or other reproductive harm. 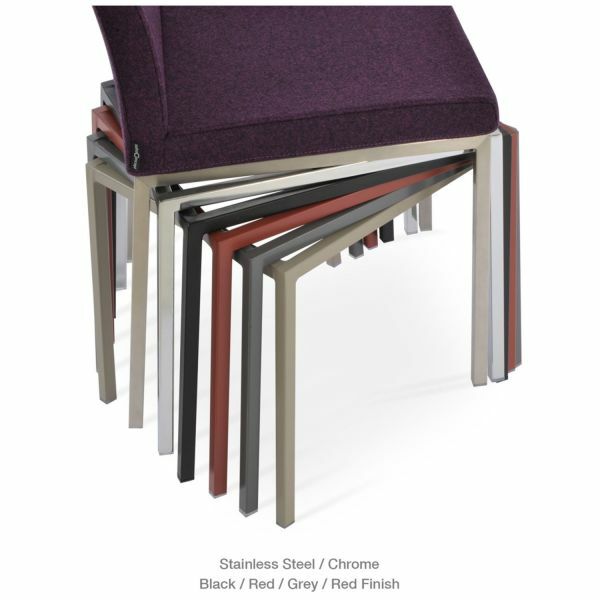 For more information go to P65Warnings.ca.gov/furniture. 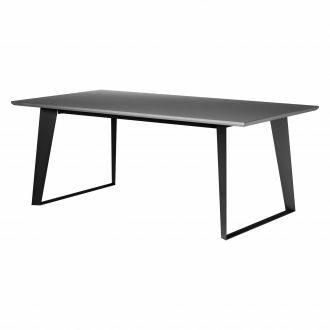 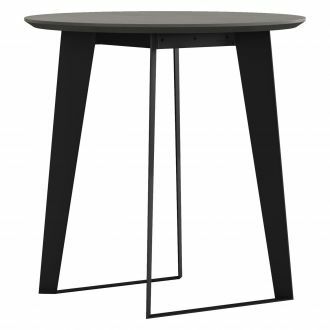 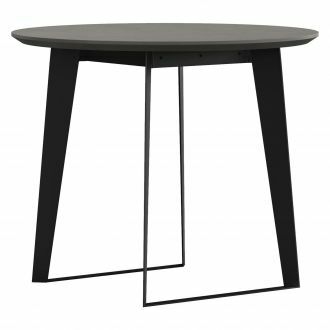 Overall Dimensions: H 31" - W 17" - D 21"